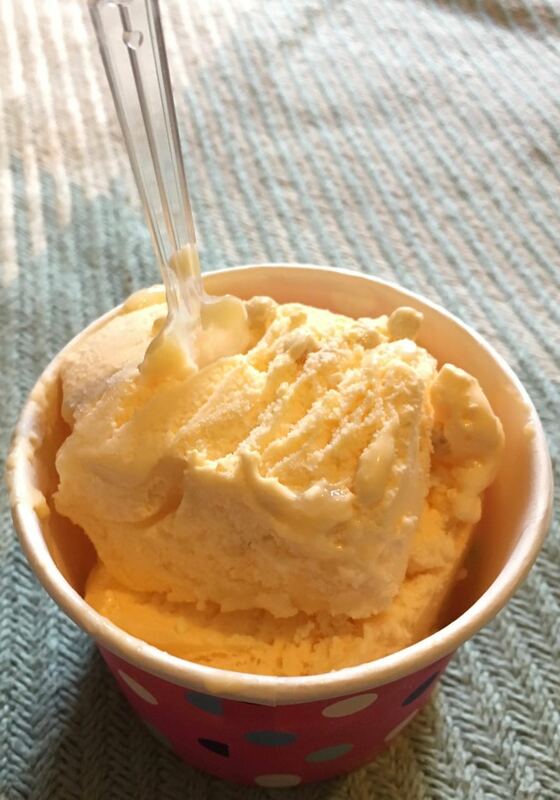 I recently reviewed the new Jam Roly Poly and Custard ice cream from Aunt Bessie’s, and it was fantastic stuff. It was a fab twist on a classic raspberry ripple. There are three new flavours of ice cream from Aunt Bessie’s in total which I’m going to work through, but next up I bought a tub of the new Lemon Meringue Pie Ice Cream. This leaves only the Rhubarb and Custard for another time. The Lemon Meringue Pie ice cream does have a fair amount of lemon sauce on top, but this clear sauce doesn’t show up too well in the photograph. We scooped some ice cream into pots and gave it the taste test. I think the first thing to note is that unless you get some of the lemon sauce the ice cream flavour isn’t too strong. The bits with the sauce are wonderfully zingy, and I was craving more of it. The meringue pieces and biscuit bits are soft and sweet, and added to the texture. The problem is an actual lemon meringue pie is full of citrus, and I was expecting a serious lemon blast to my taste buds and what I got was a gentle slightly acidic flavour. While none of this was unpleasant, in fact I’d go as far as nice, it just didn’t feel like it was representing a Lemon Meringue Pie. 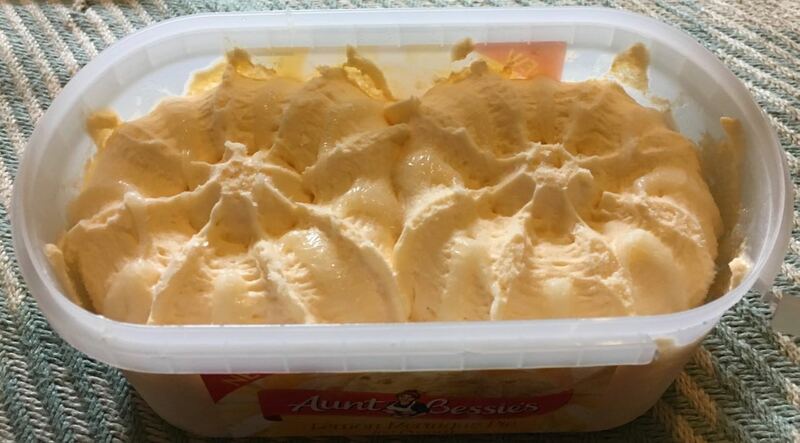 I think that the fact that I’d rated the other Aunt Bessie ice cream so highly, meant that I had a certain expectation for this ice cream. 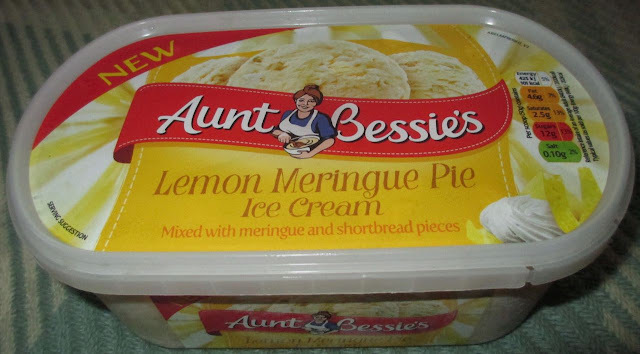 In conclusion, the Aunt Bessie’s Jam Roly Poly ice cream knocks the socks off the Lemon Meringue variety, so just I did the only thing reasonable; I’ve added the Rhubarb flavour Aunt Bessie’s Ice cream to my next grocery order.